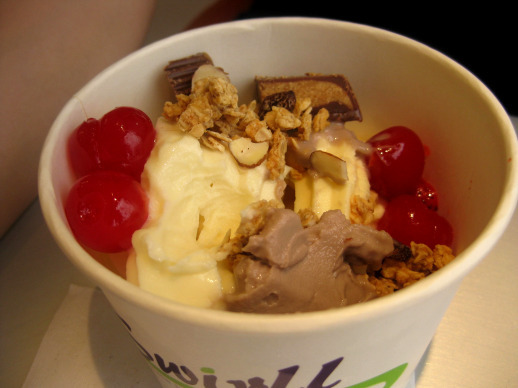 I’ve only tried out three frozen yogurt places thus far. Pink Berry and Red Mango when I was in NYC and there’s a yogurt place down the street from me called Tomunchi. It’s funny how it’s all the rage now. Jen T and I tried my second new one in Austin, Swirll on the drag. I liked Swirll’s topping selection better than Tomunchi’s but Tomunchi’s location is so much more convenient to me. Swirll is 4 cents more at 43 cents an ounce compared to Tomunchi’s 39 cents an ounce. They’re all really good though. My yogurt selection today: lychee, strawberry, cookies and cream, taro (my favorite flavor), their own house blend. The only flavor I would steer clear from next time would be the strawberry because it’s too tart for me. 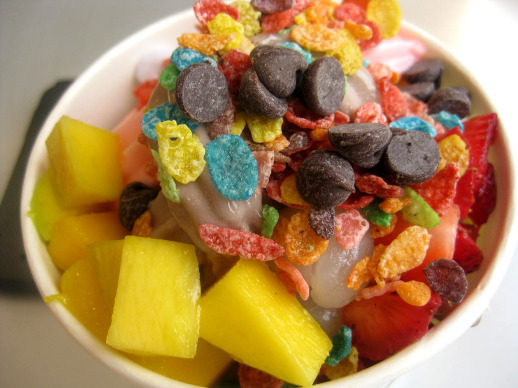 My toppings today: Lychees, lychee jelly, chocolate chips, brownie bits, fruity pebbles, strawberries, and mangoes. I ate it ALL. 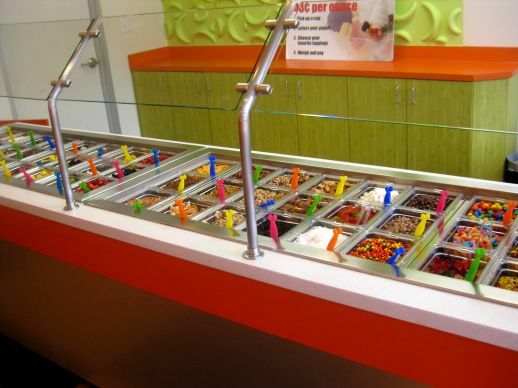 Look how expansive the selection of toppings. I forgot the mochi. I can’t remember if they had mochi. Yummy. 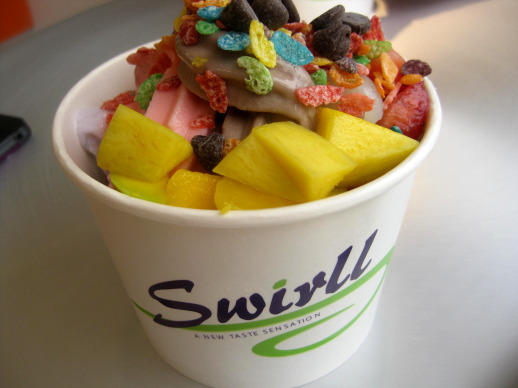 I have a handful more of yogurt places in Austin to try. I want to eat the world. Too bad I don’t have enough time or money!